Listening to any spoken format, whether it's podcasts or audiobooks, is bound to come with some pauses. If you're bothered by that sort of thing and want to keep things running as smoothly as possible, the latest Play Books update will help you with that. 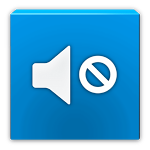 There's a new option that will do some basic audio magic to detect longer moments of silence and cut them down so you won't have to sit through any long gaps in sound. Google has been rolling out updates to its flagship app at a record pace, with significant updates landing only a few days apart. The latest may be a sign that the developers are nearly done, as the additions appear to be slowing down. In this update, we can see small visual tweaks, but nothing else too major. As usual, it's in the teardown where the changes are racking up, including signs that users will get to choose their own services for lists and notes taken by Assistant, an ability to trim the silence from podcasts, and a small follow-up regarding Google Doodles. 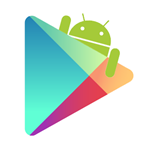 The Play Store has been off to a great start in 2013 – January saw the introduction of some brilliant apps like Carbon Backup and Pushbullet, and February followed up with some great entries of its own. From widgets to root apps to content creation tools, February had something for just about everyone. As always, we'll take a quick look at five of the very best apps we saw in the past month. When it came time to decide which apps made the cut for the best of February, DashClock was a no-brainer. The widget, developed by Googler Roman Nurik, is – simply put – awesome. For starters, the update adds Google Calendar integration (for Android 4.0+), and support for recurring events, each with their own volume profile. Users can configure the events to repeat until a given date, and the app can control notification, media, and alarm volumes with individual levels for each. Oh, and Silence can toggle mobile data, though that feature is currently in beta.